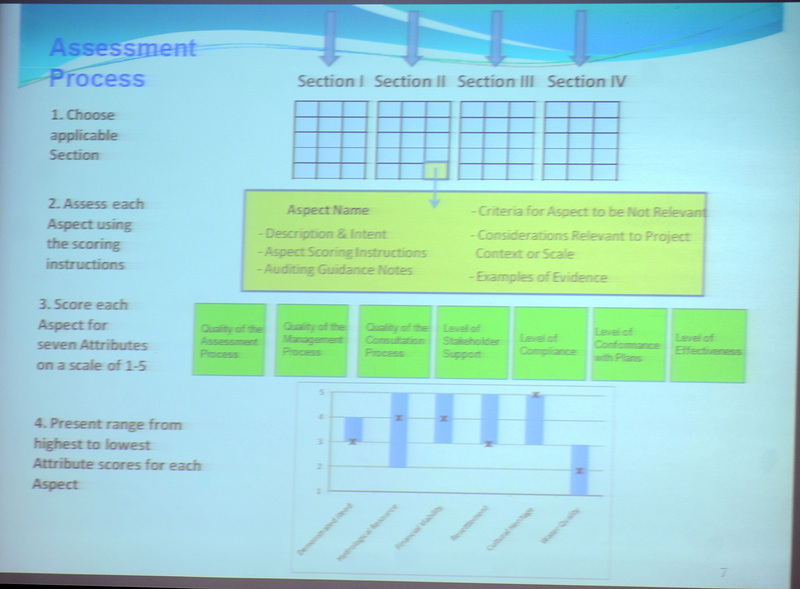 IISD Reporting Services will be producing daily reports at this meeting. 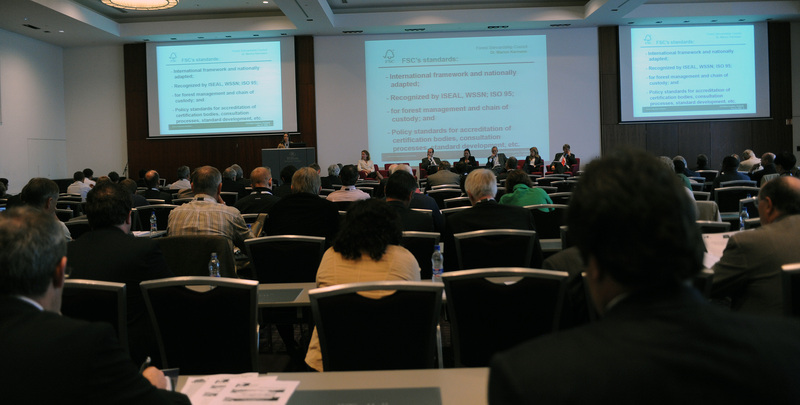 To download our bulletins, please click below on the HTML or PDF icons that are next to the date of your interest. 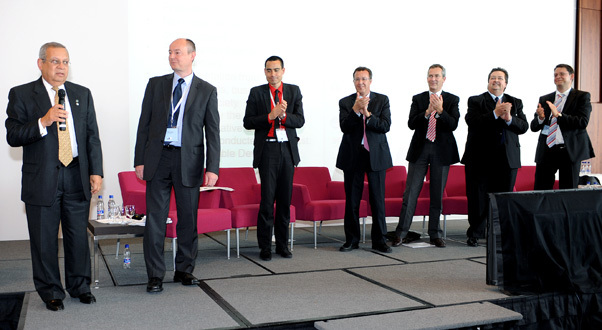 Richard Taylor, Executive Director, IHA (second from left), gets a standing ovation from Congress participants. 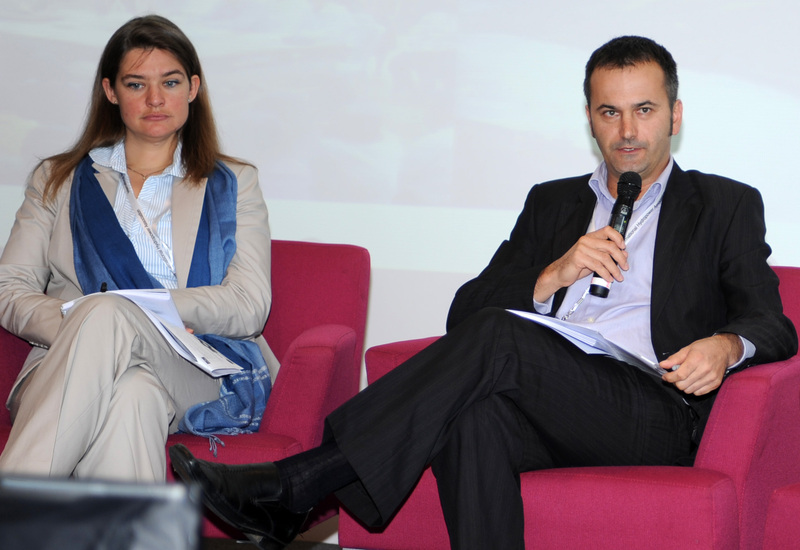 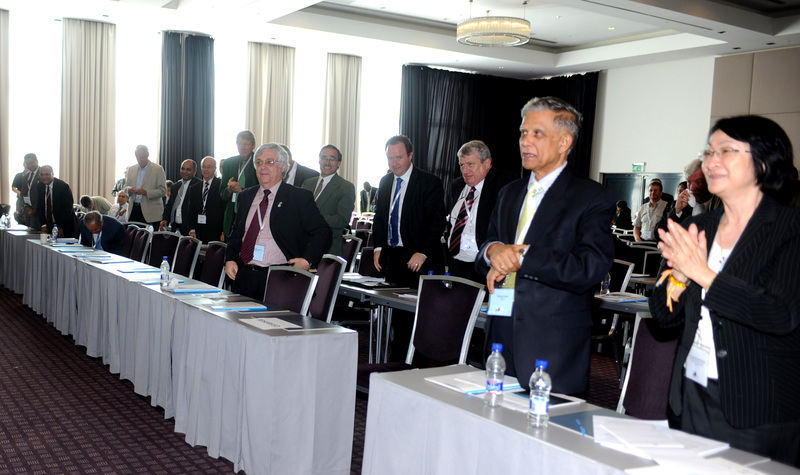 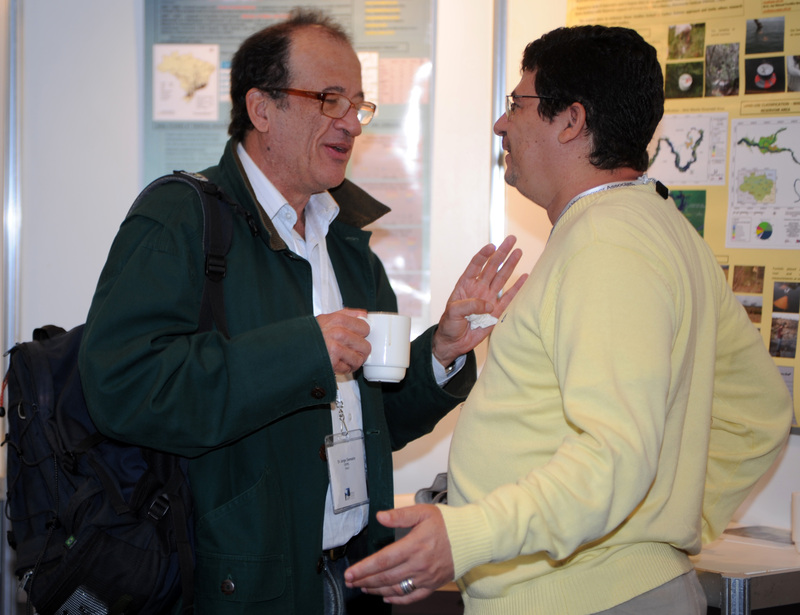 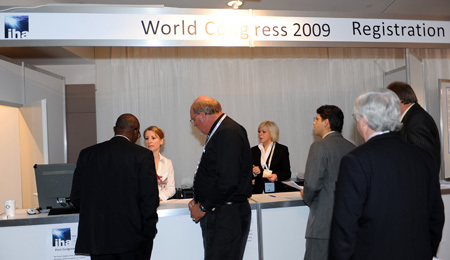 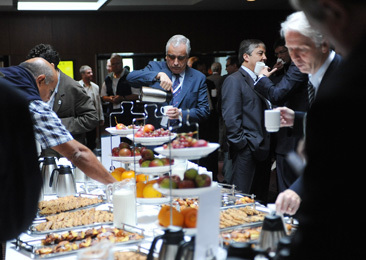 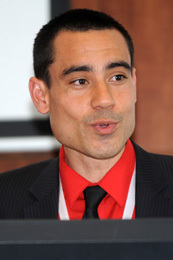 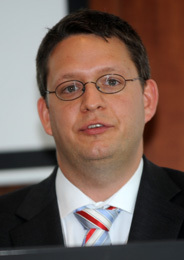 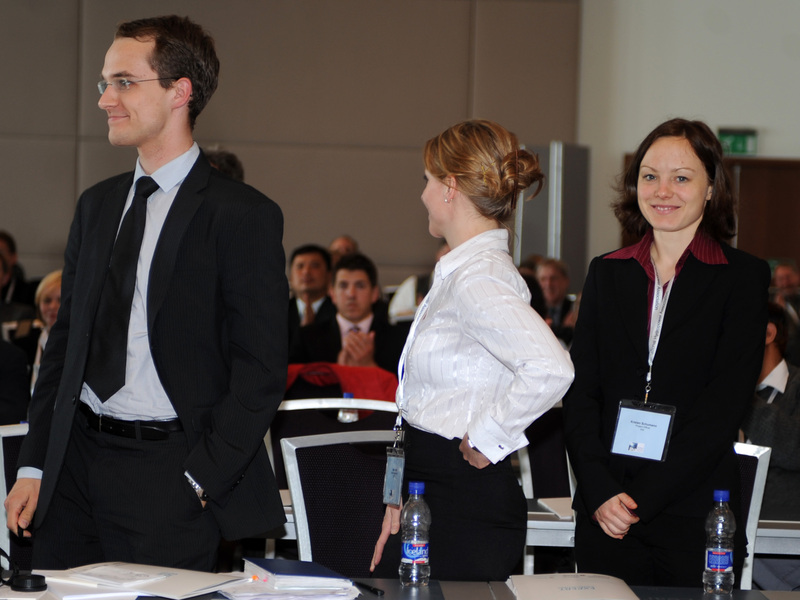 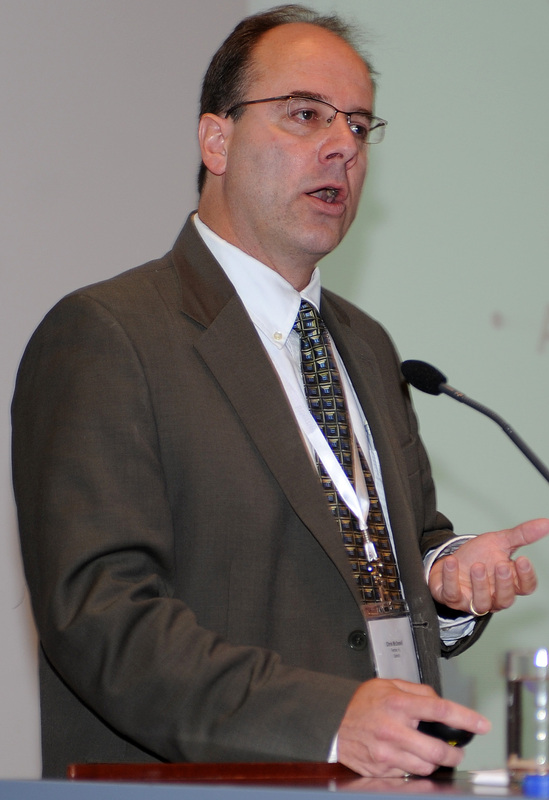 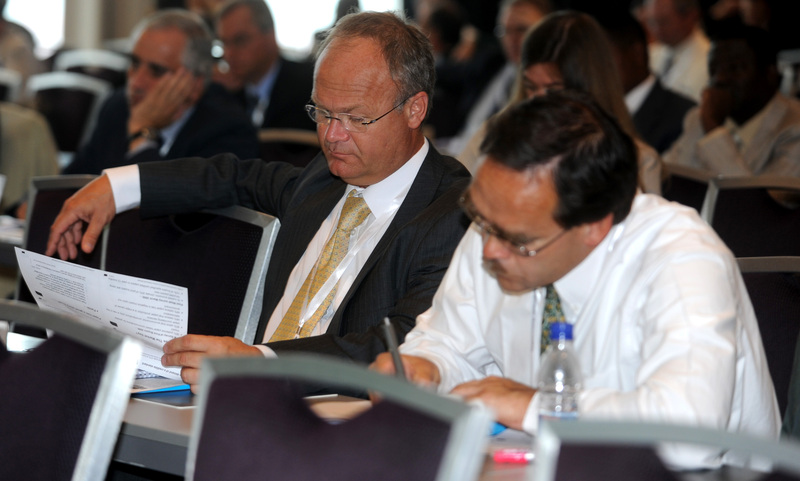 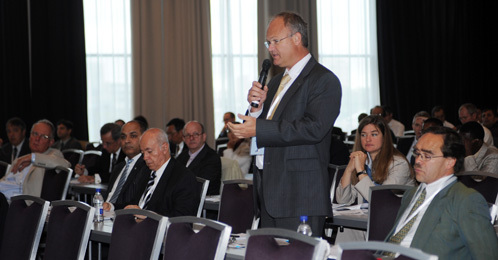 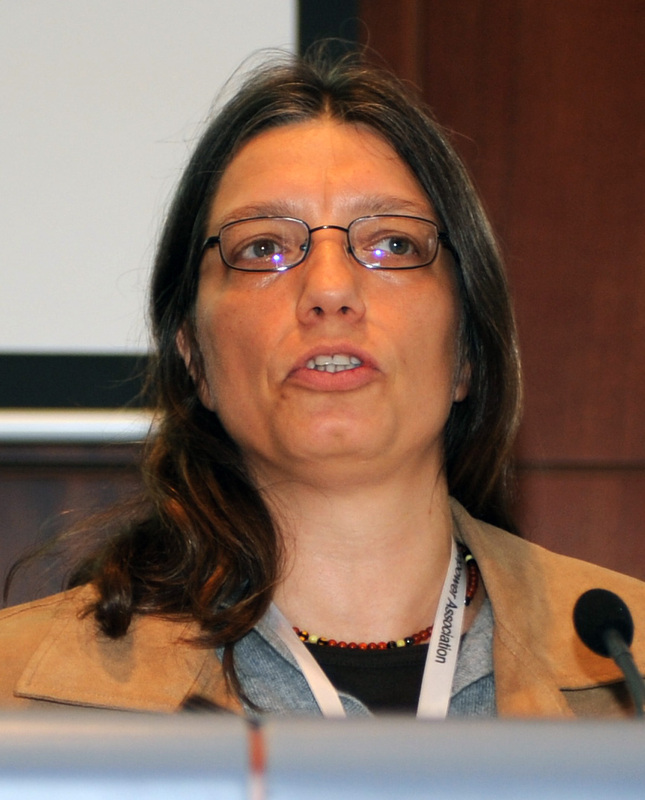 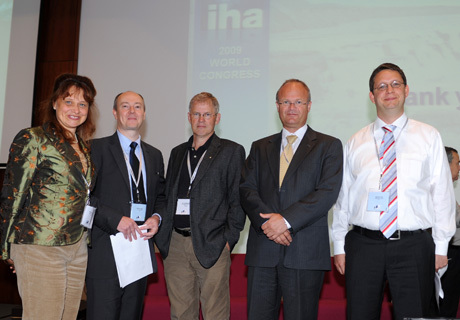 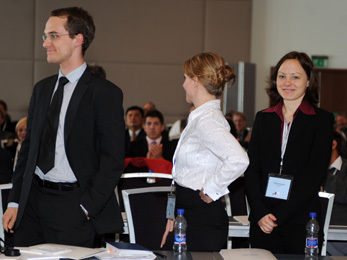 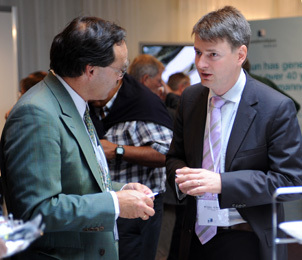 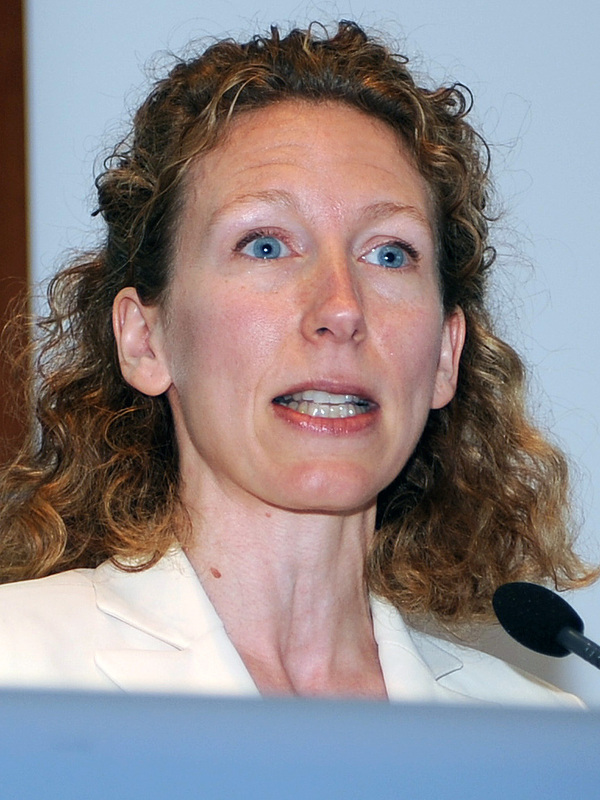 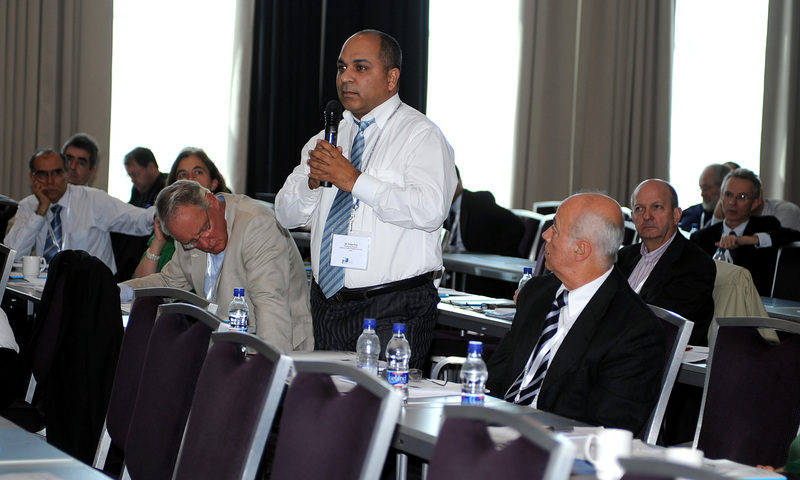 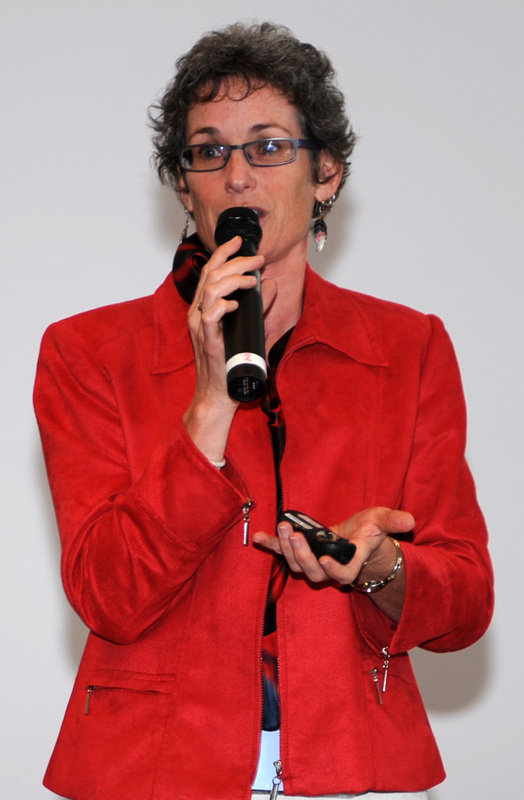 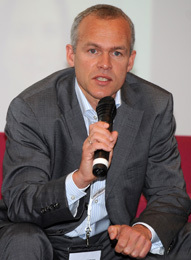 On Friday, 26 June, participants met for the final day of the 2009 IHA Congress. 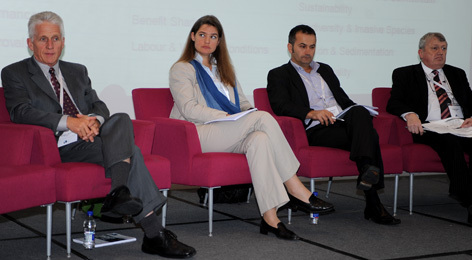 In the morning, participants attended a panel-led discussion on sustainability standards, followed by a panel on renewable energy sustainability initiatives. 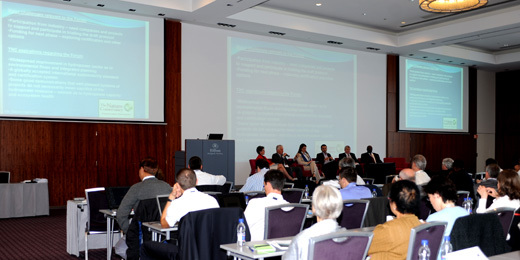 In the afternoon, participants attended a session on the Hydropower Sustainability Assessment Forum, a cross-sectoral collaboration of representatives from developed and developing country governments, social and environmental NGOs, commercial and development banks, and the hydropower sector." The meeting concluded with a summary of outcomes of the Congress, and the General Meeting of the International Hydropower Association. 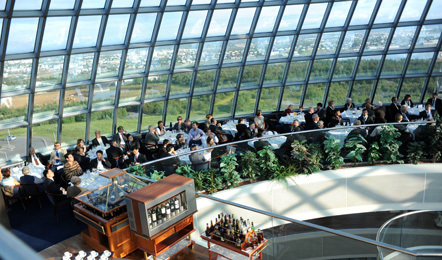 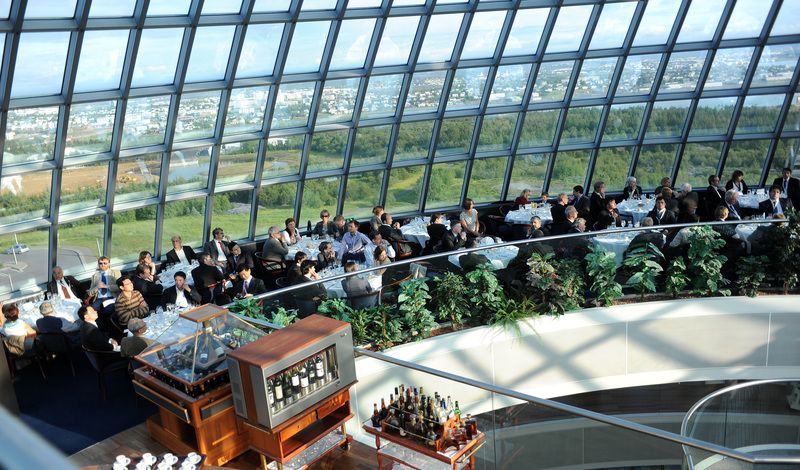 In the evening, participants attended a closing banquet at the Pearl Restaurant, sponsored by Alstom. 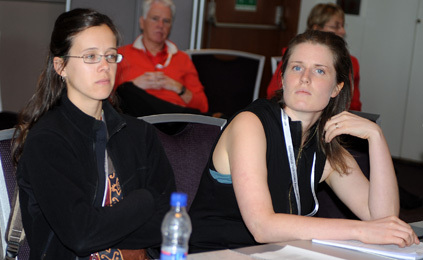 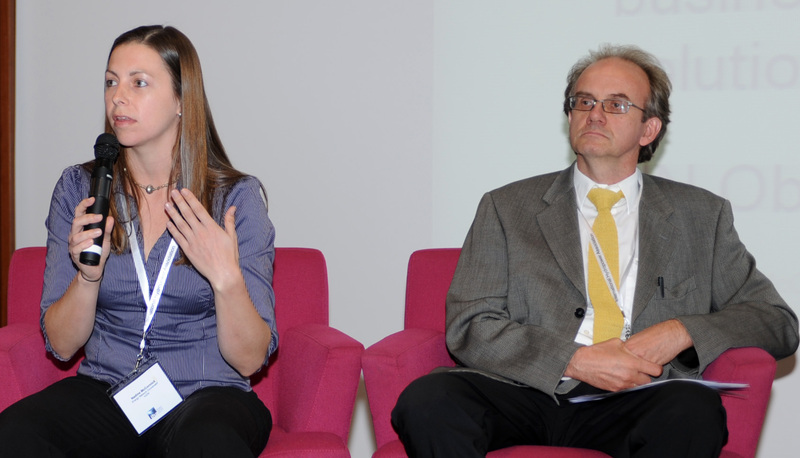 Facilitator Stephanie Meyer, Stratos Inc. (left photo) Right photo: Chris McDonell, Tembec, Canada, addresses the congress. 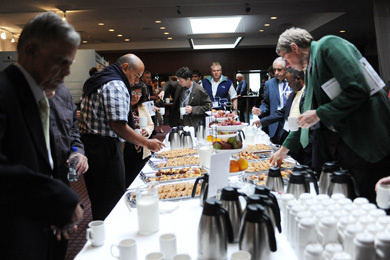 Participants during the morning session. 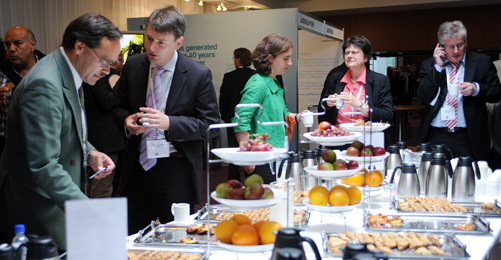 Left to right: Chris McDonell, Tembec, Marion Karmann, Forest Stewardship Council, Wenche Grønbekk, DNV Cleaner Energy and Utilities, and Werner Schmied, Oesterreichische Kontrollbank AG (OeKB). 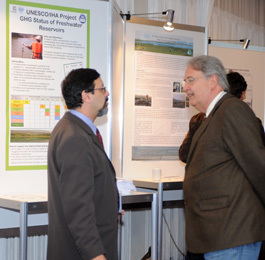 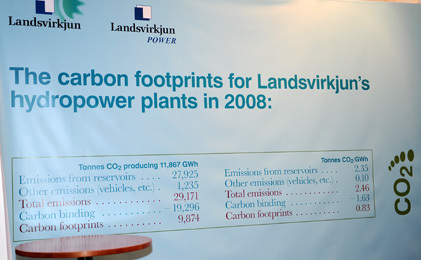 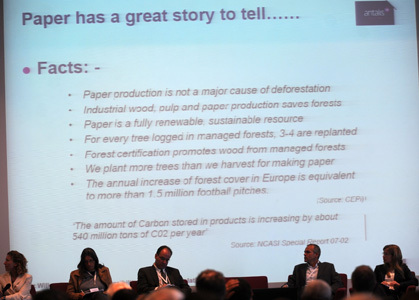 Joerg Hartmann, WWF (left photo) and a question during the discussion session (right photo). 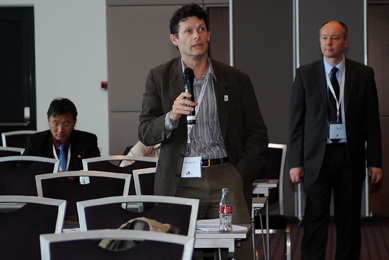 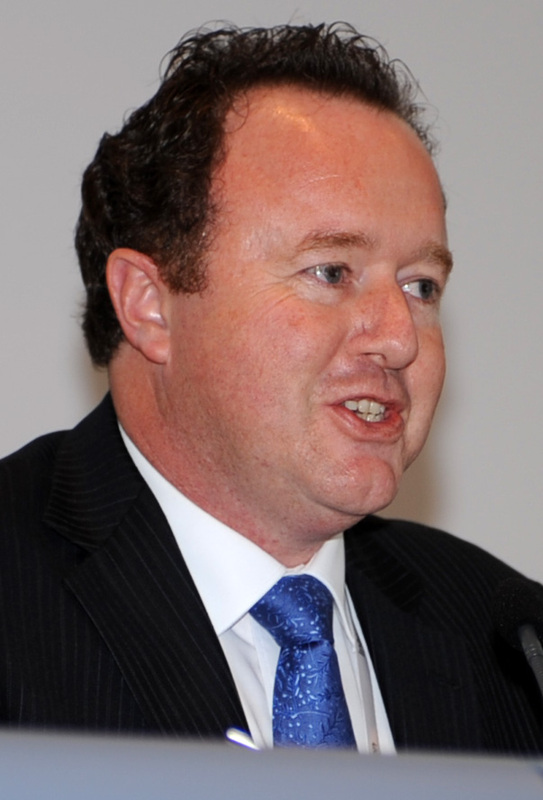 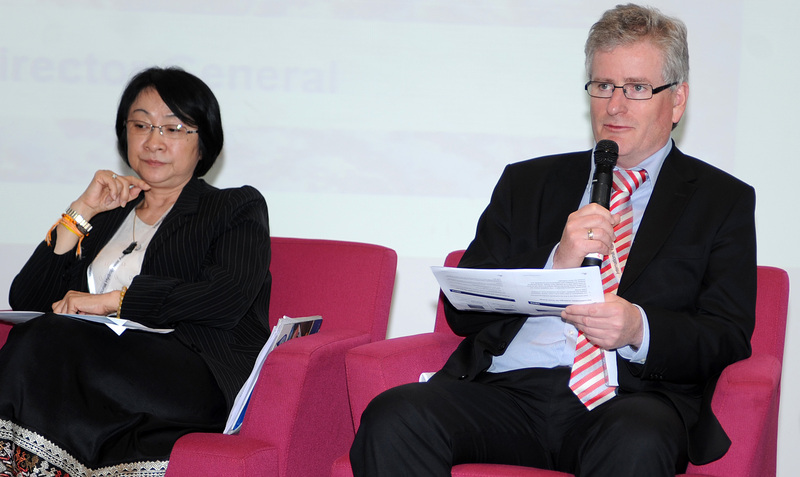 Facilitator Andrew Catchpole, IHA Board Member (left photo). Gudni Axelsson, Iceland GeoSurvey, Monica Oliphant, International Solar Society, and view of the dais during the session on investment and financing models. 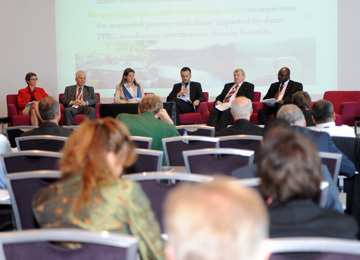 Left to right: Khempheng Pholsena, Minister, Water Resources and Environment Administration, Laos, Gudni Jóhannesson, Icelandic National Energy Authority, Nadine McCormick, IUCN, and Gudni Axelsson. 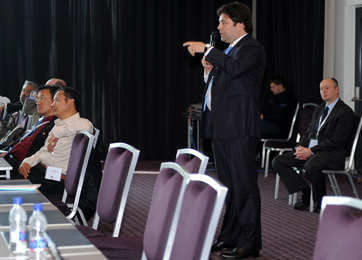 A view of the room during the panel discussion. 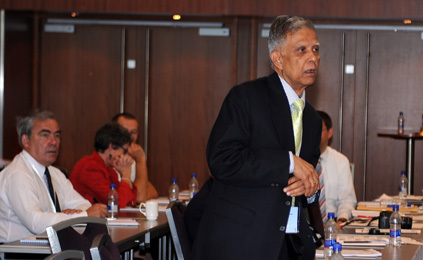 Minister Khempheng Pholsena addresses the conference. 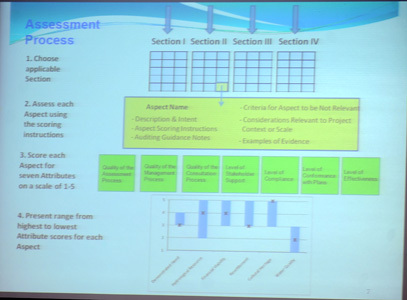 Facilitator Locher explains the assessment process. A participant questions panelists (left) and Michael Simon during his presentation (right photo). 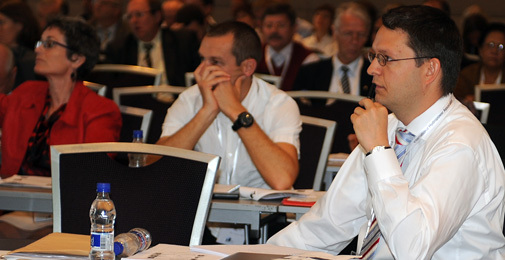 Congress participants (left) and a view of the panel (right). 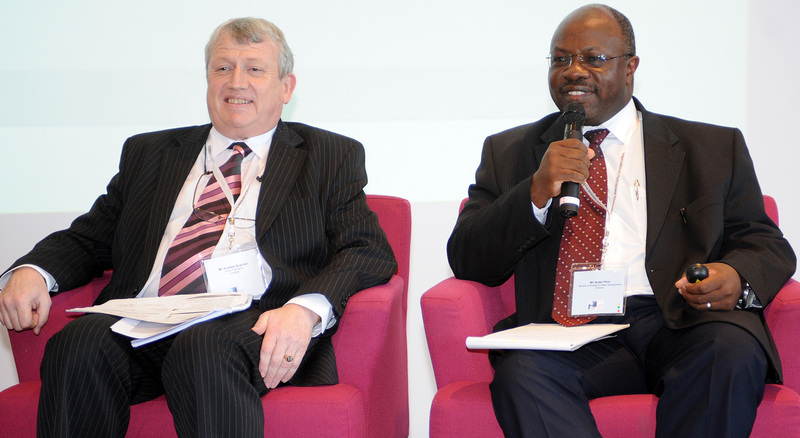 Andrew Scanlon, Hydro Tasmania, and Israel Phiri, Ministry of Energy and Water Development, Zambia (left photo). 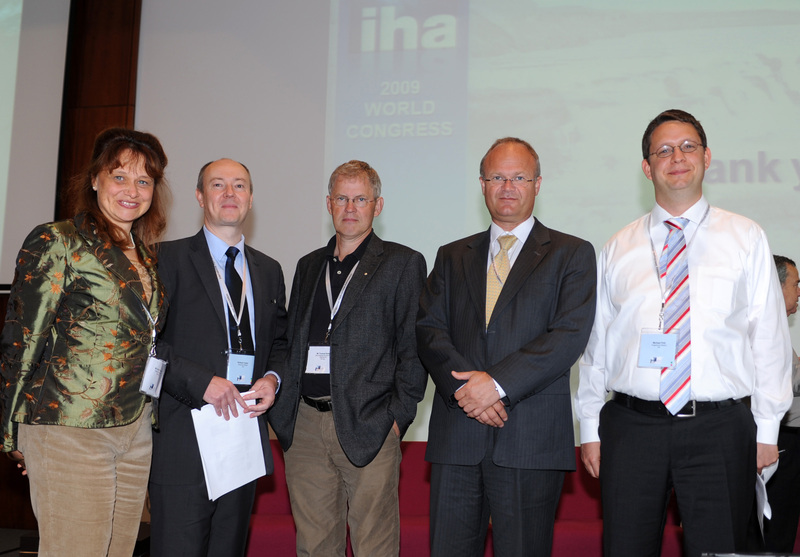 Jean-Michel Devernay, Vice-President, IHA, Roger Gill, Vice-President, IHA, Terry Moss, Vice-President, IHA, and Michael Fink, Programme Director, IHA. 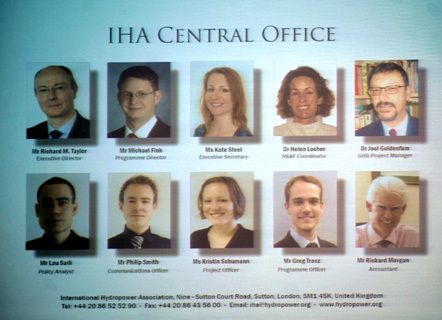 Lau Saili, Policy Analyst, IHA, a chart of the IHA Central Office, and Michael Fink, Programme Director, IHA. 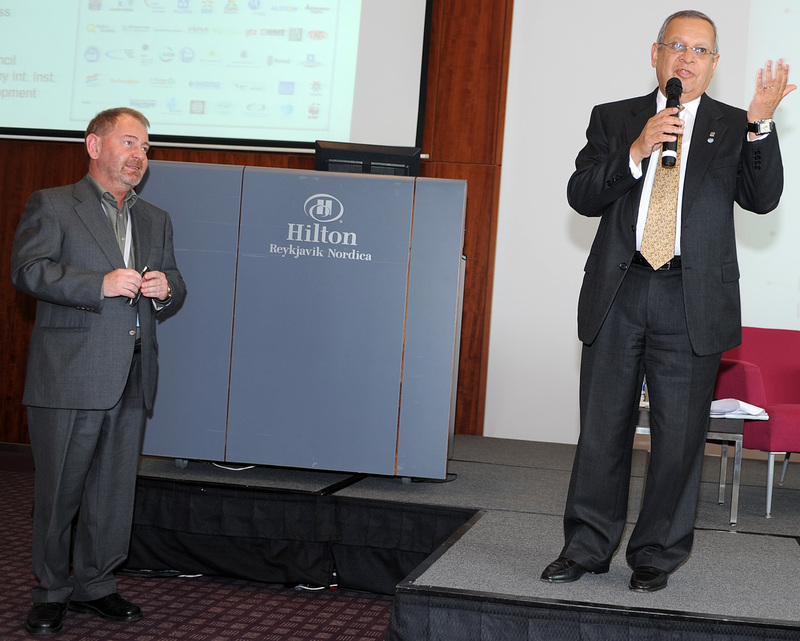 IHA President Refaat Abdel-Malek thanks Bjarni Bjarnason, Landsvirkjun, Iceland (left photo). 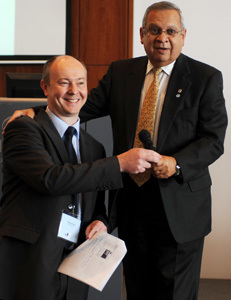 Richard Taylor, Executive Director, IHA, and Rafaat Abdel-Malek, President, IHA. 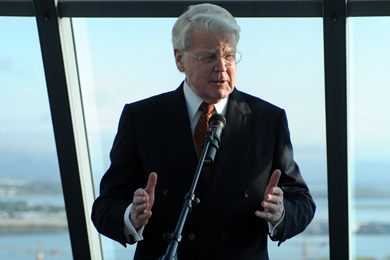 Ólafur Grímsson, President of Iceland, addressed the closing dinner.